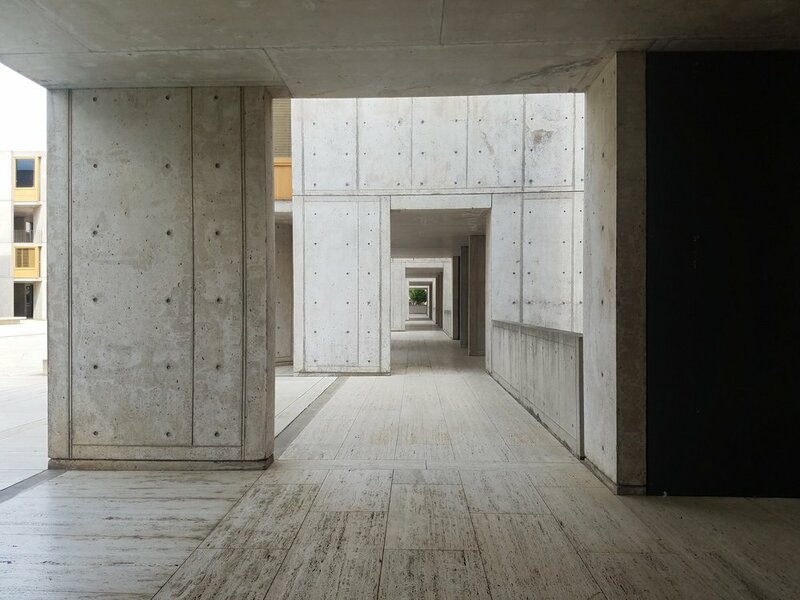 Salk Institute for Biological Studies — Valerio Dewalt Train Associates, Inc. 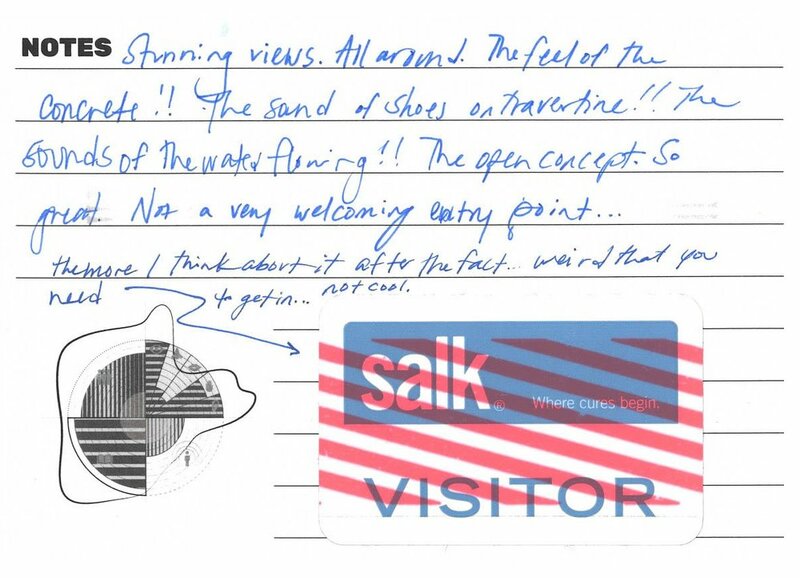 When we arrived at the Salk Institute, we didn’t have the greatest interaction with the guard at the front gate. It turns out the Salk Institute do not let anyone walk into the courtyard. Even with a set appointment with one of their scientists, we had to call their secretary and be escorted inside. There was a big ‘Wow’ moment inside the courtyard of the original Louis Kahn buildings, while the addition is somewhat lackluster. The architecture set against the horizon was breathtaking. Our only regret is that we didn’t have longer to stay and sit within the reflective space.